Latest update: In order to make the Gurkha compliant with the new safety norms, Force has introduced the Gurkha Xtreme ABS. It is priced at Rs 13.30 lakh, a premium of Rs 31,000 over the non-ABS variant. More details here. Force Gurkha Variants & Price: The Gurkha is available in three variants: Xpedition, Xplorer and Xtreme. Prices start from Rs 9.99 lakh and go up to Rs 13.30 lakh (ex-showroom). Force Gurkha Engines: The lower-spec Xpedition and Xplorer variants are powered by a 2.6-litre engine that makes 85PS of power and 230Nm of torque. The Xtreme variant, on the other hand, comes with a 2.2-litre diesel unit that makes 140PS and 321Nm. Both engines are mated to a 5-speed MT and come with 4WD. 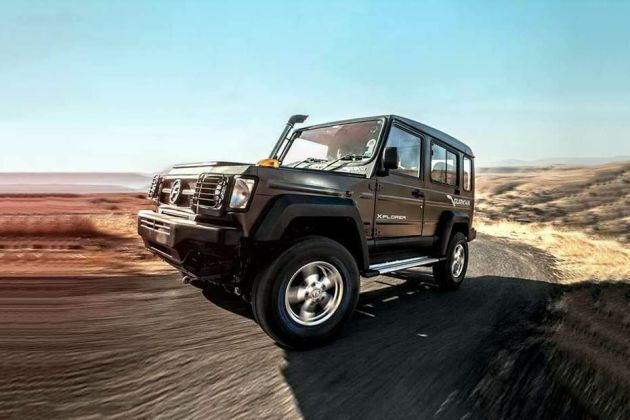 They are also equipped with a low-range gearbox for off-roading. Force Gurkha Rivals: The Gurkha takes on the Mahindra Thar, which is priced from Rs 6.72 lakh to Rs 9.49 lakh (ex-showroom Delhi). The claimed ARAI mileage: Force Gurkha Diesel is 17.0 kmpl. It is a 6 seater.